Solid silver mitre shape on a circular silver band. 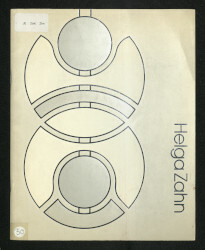 Rings, Helga Zahn, 1975-76, Crafts Council Collection: J20. Photo: Todd-White Art Photography.